White oak handrail for use on both stairs and landings. Designed for use with the Richard Burbidge Elements glass infill (40 to 43 degrees stair pitch) and the Trademark metal spindle range (41 to 43 degrees stair pitch). 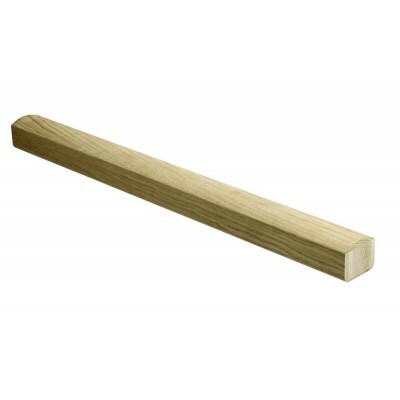 Also suitable for use where a baluster groove is not needed.